Surprise! Cats don't just automatically know how to use a litter box. Here are a few tips when it comes to training a kitty to use the box instead of your shoes. New and prospective cat owners are often surprised to learn that they'll need to train their new pet to use the litter box. 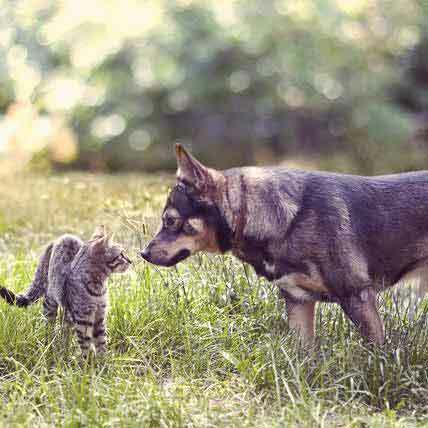 Since cats have digging instincts, many people assume that their pet will just figure it out on their own, or that kittens are shown the ropes by their mother in the weeks after birth. Alas neither of these are the case, and it's up to a cat's owner to teach their pet the proper way to use the litter box. Luckily, training can be a fast and painless process if done correctly. Here we'll walk you through the steps that will get your cat walking to the litter box. 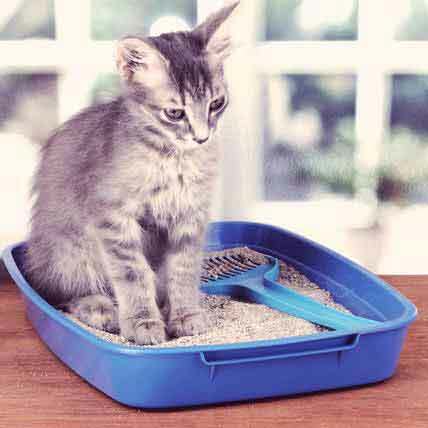 The sooner you can begin the litter box training process, the easier it will be. The best way to get started is to get prepared. 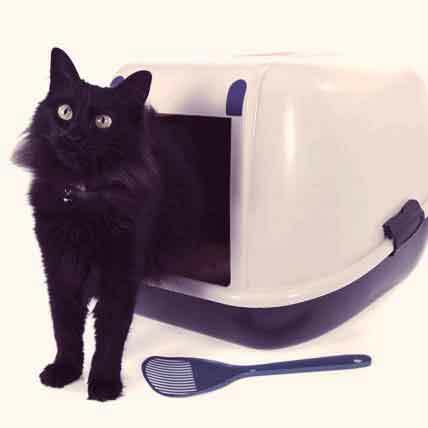 Purchase your cat's litter box and set it up in your home before the arrival of your new cat. Litter boxes should be placed in an area of the home that is free of clutter, loud noises, or other distractions. Learn more about choosing and setting up a litter box. 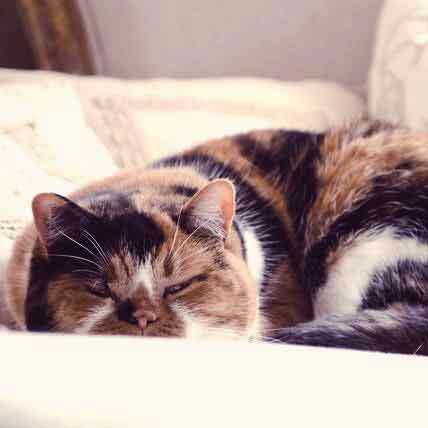 Place your cat or kitten in the litter box after meals, naps, play sessions, or any other time they appear ready to eliminate (sniffing and looking around are two good signs). After they go, offer lots of praise. Cats like praise, and if it's directly linked to the litter box your cat will form a positive association with its use. Whenever you cannot directly supervise your cat during the training process, confine your cat to a cat-proofed room with the litter box. Never reprimand your cat if they make a mistake. If you happen to catch your cat in the process of eliminating outside of the litter box, pick up the cat and place them in the litter box to finish. Never scold your cat as you do this – it will only create a negative association with the litter box. If you find an accident after the fact, clean it up with a non-ammonia cleaner (ammonia smells like urine, and if the location smells like urine your cat may think it's an acceptable place to urinate again). Never carry your cat to the accident spot for a reprimanding or rub your cat's face in the accident. Your cat will not connect the discipline with the accident and will only be confused. One way to expedite the litter box training process is to leave a small amount of urine or feces in the litter box between cleanings. Your cat will recognize the smell and be reminded that the litter box is where such business takes place. Once your cat is using the litter box regularly, begin cleaning the box in its entirety, leaving behind no urine or feces. 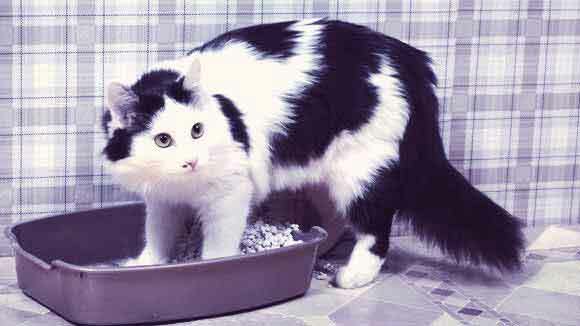 Litter box training can be accomplished anywhere from a couple of days to several weeks – every cat is different. Follow the above instructions until your cat is using the litter box regularly. If you have followed the above instructions and your cat is still not using the litter box, talk to your veterinarian. Your cat may have a medical problem that is preventing litter box use and you'll want to find out what next steps you can take.